What is Playlist and what’s it used for? 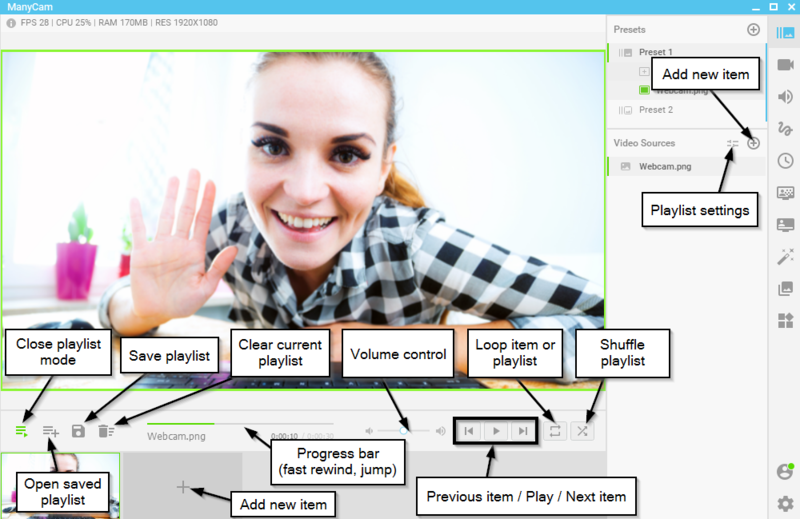 A playlist is a feature that allows you to compile a list of multiple ManyCam video sources and air them on live streaming websites, during conference calls, webinars, lessons and any other online events. You can arrange the order of items, add new or remove unwanted ones, choose playback mode, set custom delay for each item (paid versions only), set items to loop, adjust the pace, set a custom transition effect, as well as save and load your playlists. 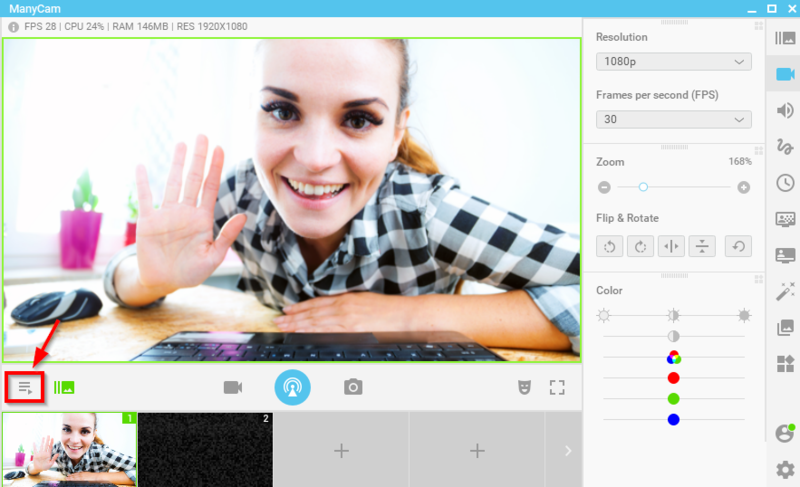 You can access the feature through a small icon in the lower-left corner under the Main Live window. This will show Playlist controls and playlist’s contents. 1. 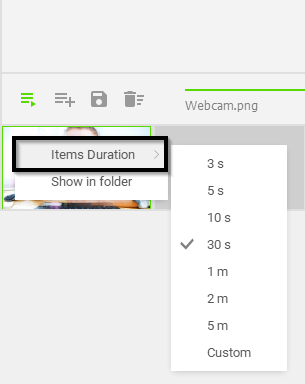 Set custom items duration – this option tells ManyCam when to skip to a next item. Applies to all items. 2. Preview selected transition effect – this box displays a preview of a transition effect currently selected. 3. 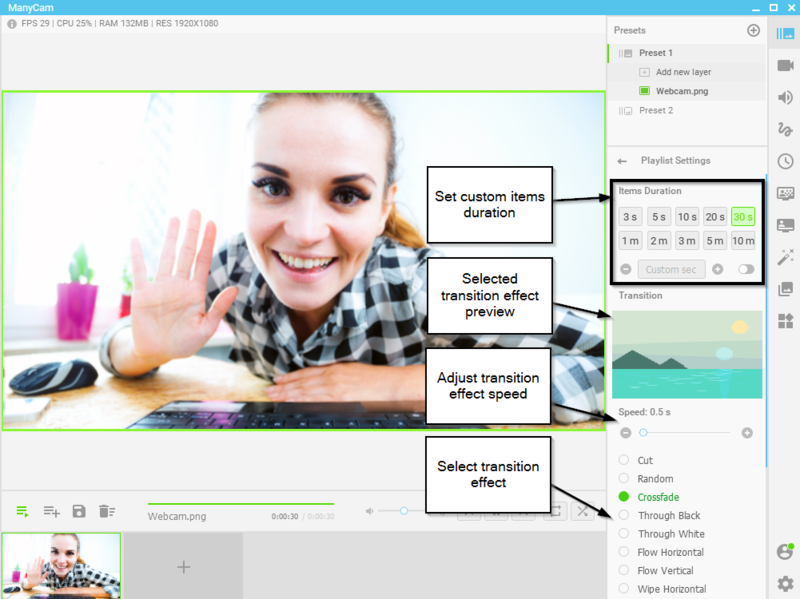 Adjust transition effect speed – this setting changes the speed of a transition effect and also adjusts the transition time. 4. Select transition effect – here you can select any transition effect you like from a list of default effects. How to set custom duration for a particular item? Note: This feature is available in paid versions only. You can set custom duration for a particular playlist item by right-clicking on it. 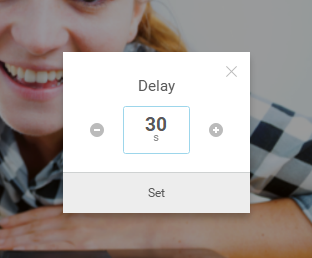 You can select any default value from 3 seconds to 5 minutes or set a custom time manually – Items duration -> Custom.